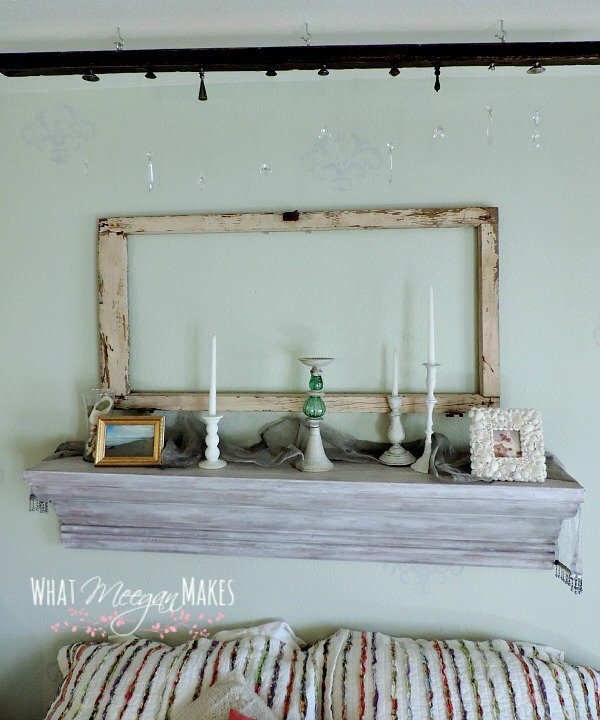 From old pieces of tile and scraps of wood to metal pieces and curtain rods, we all have a few extra hardware pieces sitting around the home. Dig out your trash and create a little piece of gold that only your home will hold. Take a look at these eight “out of the box” DIY projects that Porch.com rounded up! 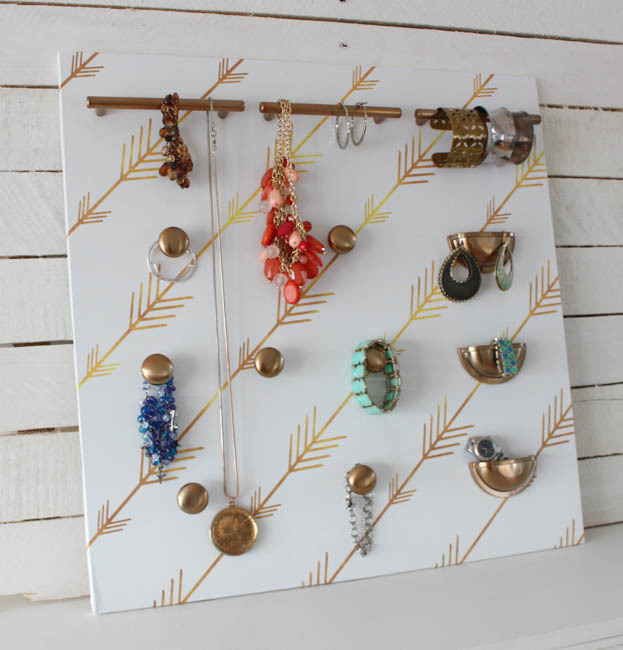 Give your necklaces, bracelets and earrings a place to hang with a DIY jewelry organizer. A piece of plywood, cabinet knobs and pulls and decorative wallpaper make up this chic DIY. 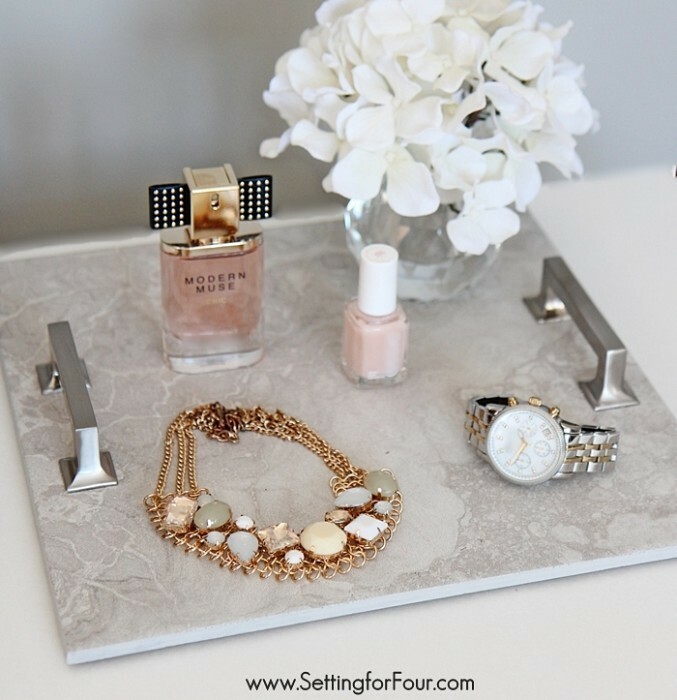 This re-purposed cabinet hardware and gray marbled tile DIY tray is the perfect pretty display for your jewelry, nail polish or perfume. 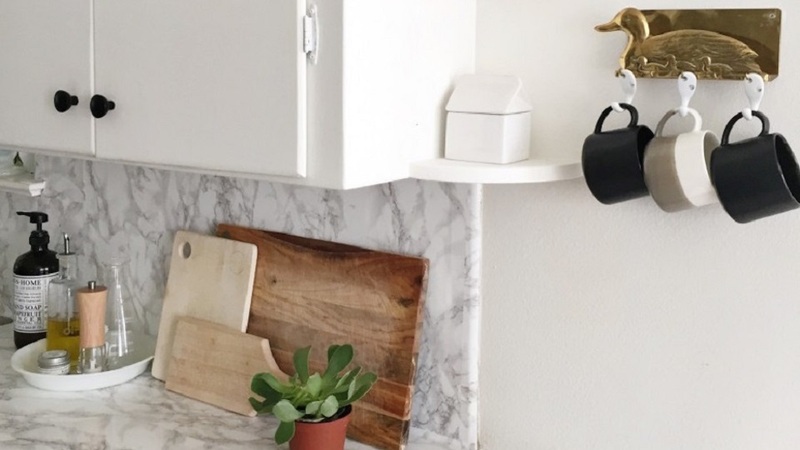 For a quick and creative way to display items in a small kitchen, try making this DIY mug wall hanger with hooks. Make a message center for your home to keep track of your to-do list, the time and your keys. 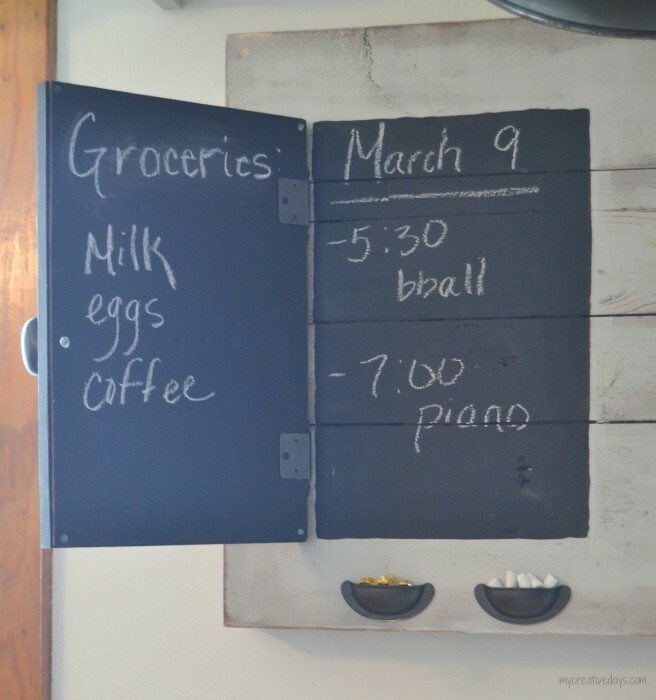 This DIY was built from an old board with chalkboard paint, a burlap corkboard, drawer pulls, hooks and decorative nails. Chandeliers are a beautiful way to add a touch of elegance to your home. With one 2×4-foot board, drawer pulls and knobs, hooks and a few vintage crystals, you can DIY your own rustic chandelier. 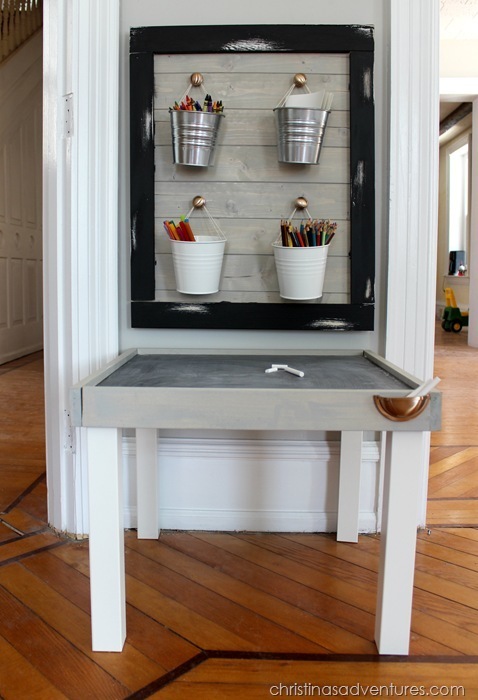 This perfectly imperfect DIY consists of stained framed wood, black chalkboard paint, rose gold knobs and an IKEA Lack table to create a kids’ art center. 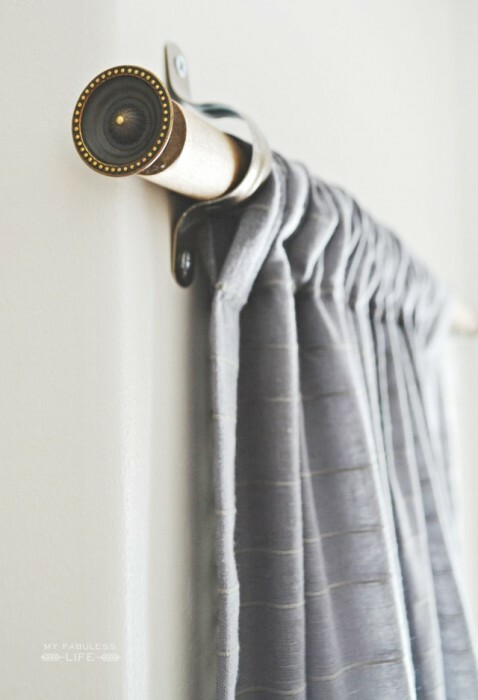 Three supplies and 10 minutes later, you can make your own custom curtain rod with dowels, pipe straps and decorative knobs! 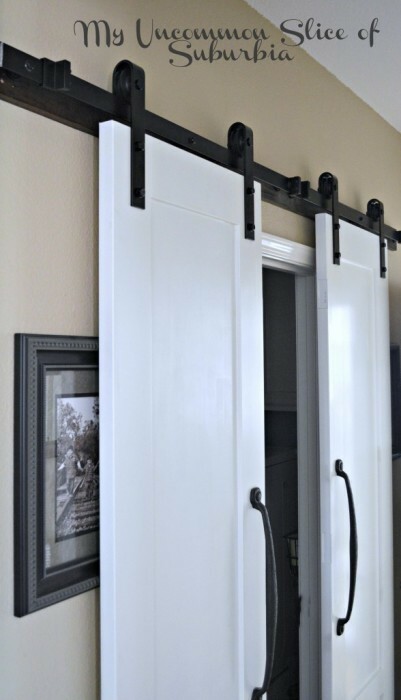 Maximize your space by making barn doors for your laundry room! Large white doors and rustic pulls on a track will keep your doors conveniently sliding from left to right for easy access.